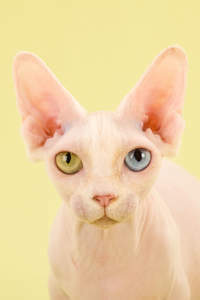 The unique Bambino cat breed is considered a new experimental breed that has been created by Pat and Stephanie Osborne of HolyMoly Cattery, America. The history of the Bambino breed only goes back around ten years ago to 2005 when The International Cat Association recognized Bambinos as an experimental breed. This breed has been developed by crossing the hairless Sphynx cat with a Munchkin cat. 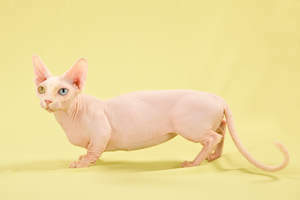 The result is a cat with the randomly mutated genes for no hair, and for short legs. 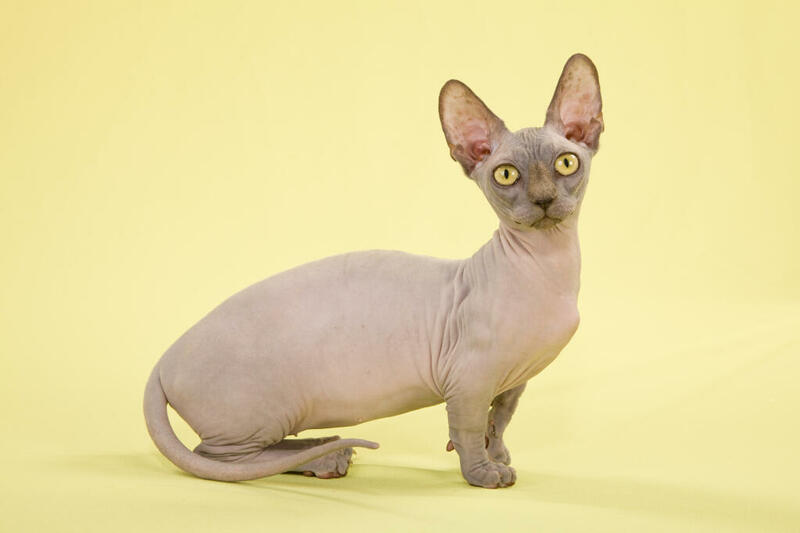 This breed has been given the name Bambino, which is Italian for baby, due to its kitten like look. 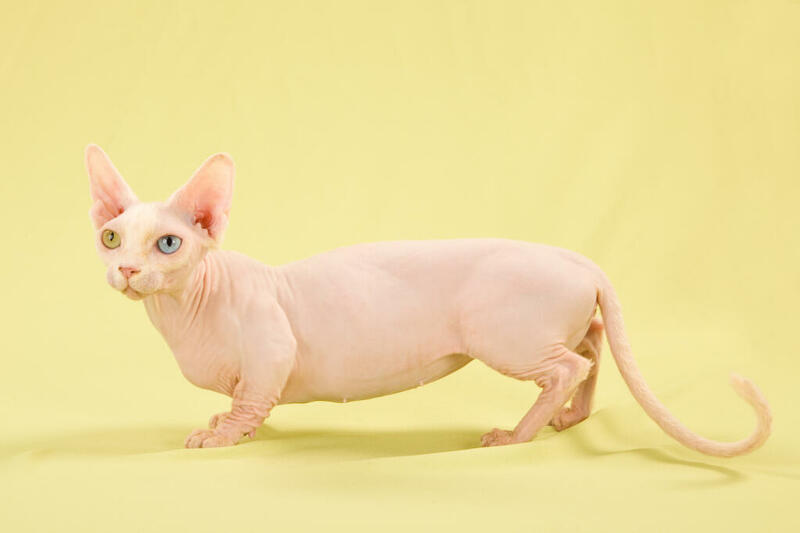 Bambino cats are a very active breed with a sweet and loving disposition. 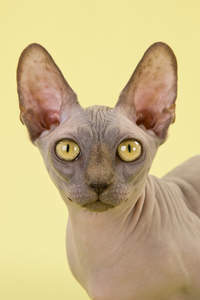 They are very playful and get on with both children and other pets. You may not believe it, but despite having short legs the Bambino is remarkably quick and athletic for its size. These cats can easily be up on your kitchen surfaces sniffing out any morsel of food they can get. This breed is best kept indoors due to their hairless skin being sensitive to temperature and the sun. All colours, shades and coat patterns.